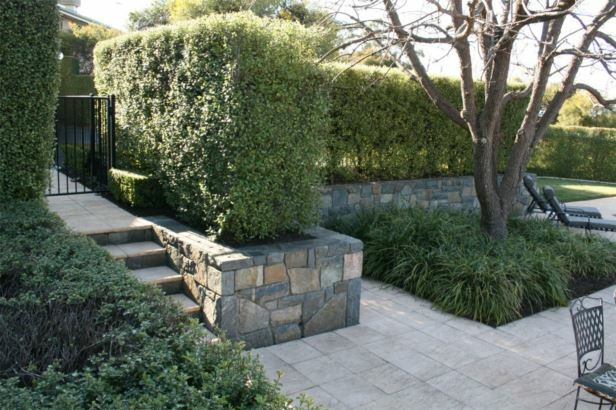 This large & sloping block was fully re-landscaped, working around an existing swimming pool and established Pistacio in the back yard & from a clean slate in the front. 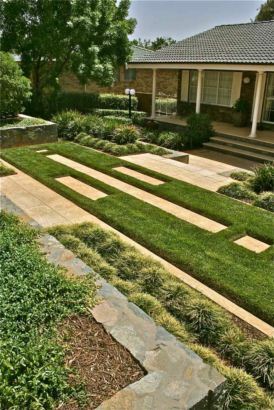 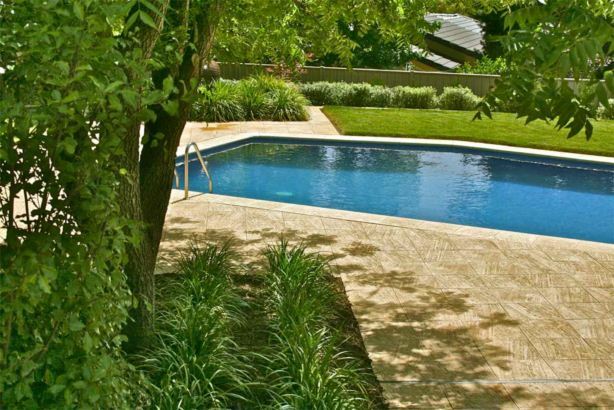 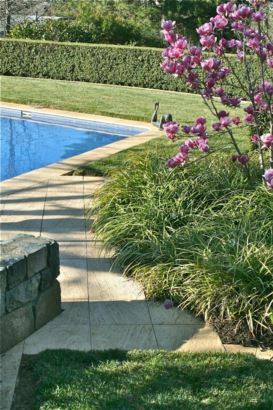 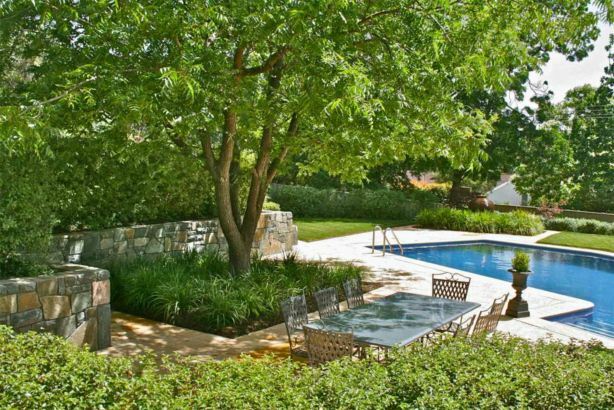 Carefully disguised pool fencing, terracing to create informal seat walls, ‘Urbanstone’ paving, & lush plantings work to define different spaces. 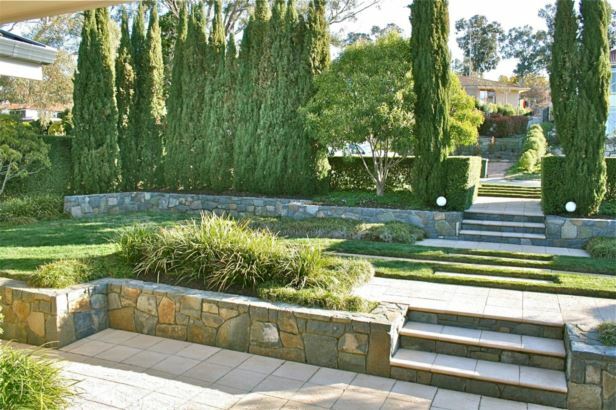 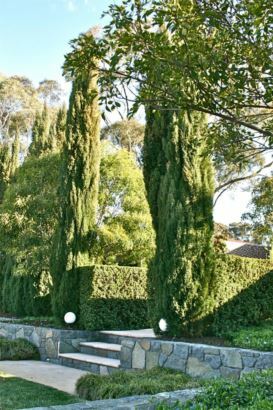 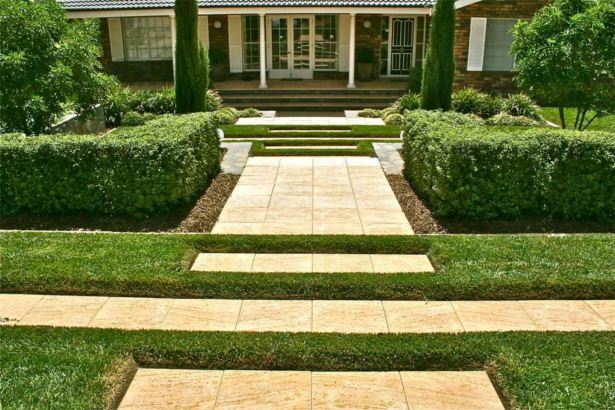 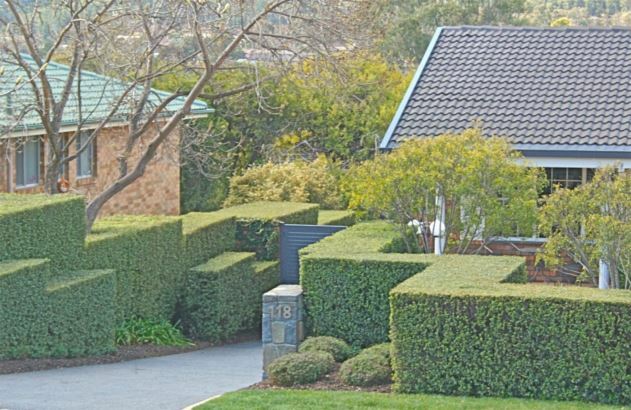 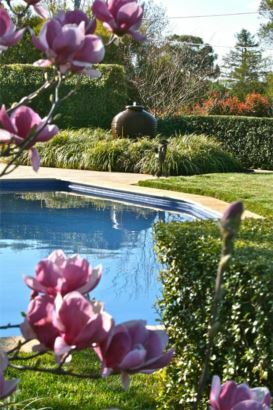 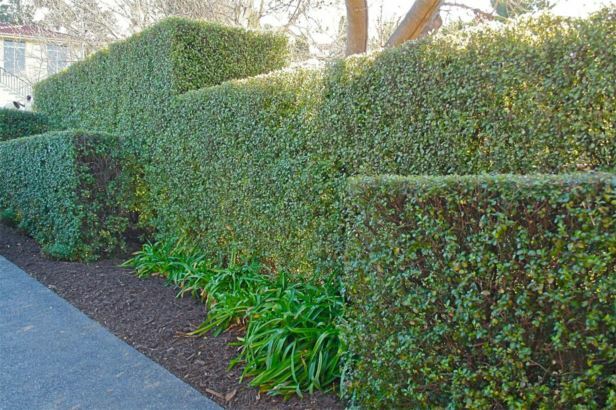 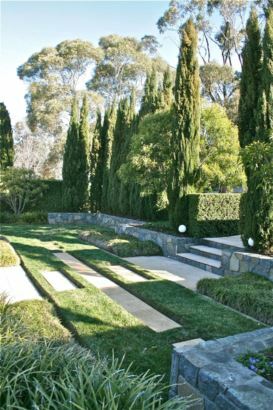 Brad from ‘Guru’ & Grant Blacker Stonemasons constructed the ‘mortared style’ Murrumbateman bluerock walls, All style Landscaping (now Exceptional Constructions) & the owners all toiled to create this beautifully formalised garden.